For almost 50 years, the Southern Poverty Law Center (SPLC) has been fighting racism, hate, and bigotry in America and trying to bring about change through litigation, education, and advocacy. 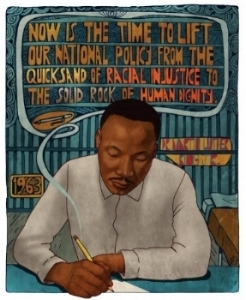 Building on the work of Martin Luther King, the SPLC has a “Teaching Tolerance” program with lesson plans, educational kits, and curricula designed to combat prejudice in our schools and society. The SPLC promotes diversity, equality, and respect, while encouraging children to question their beliefs about race and cross social and economic boundaries. If you would like to learn more about the Southern Poverty Law Center, please go to splcenter.org.